Here at Garment Steamer Reviews we do our very best to give you honest, unbiased recommendations for fabric steamers. We hire good writers and take our time checking our articles. When a mistake is discovered, we correct it right away. Other comparison and review sites are less scrupulous. Many of our rivals show by their recommendations that they don’t care about their readers and are just interested in making a quick buck. But even worse are manufacturers – it’s fairly simple to make a cheap travel steamer and put it on Amazon. And in order to get it noticed, they pay people to write glowing 5-star reviews on Amazon. When a product already has lots of 5-star reviews, it’s likely to sell more. So sadly these dishonest manufacturers are making money from unsuspecting people. First of all, negative reviews on Amazon are often related to delivery or packaging and are not about the product itself. Of course companies should try to deliver on time, but personally I don’t mind if a product comes late as long as it meets my needs. Also note that product quality can change over time. In some cases, old reviews are bad and the company fixes the problems and the most recent reviews are good. The opposite sometimes happens – companies with great products start to cut costs and new versions of the product don’t live up to expectations. So you can click ‘see newest reviews first’ to see what the latest batches are like. 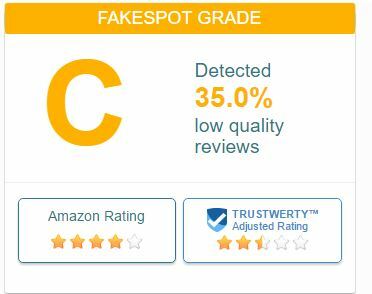 Next, copy the Amazon link and paste it into the excellent FakeSpot website. Let’s look at the results from the Pure Enrichment handheld steamer that we like. But that’s from nearly 4,000 reviews. There’s no way over 1,000 reviews are fake. When we scroll further down, there’s some useful information. 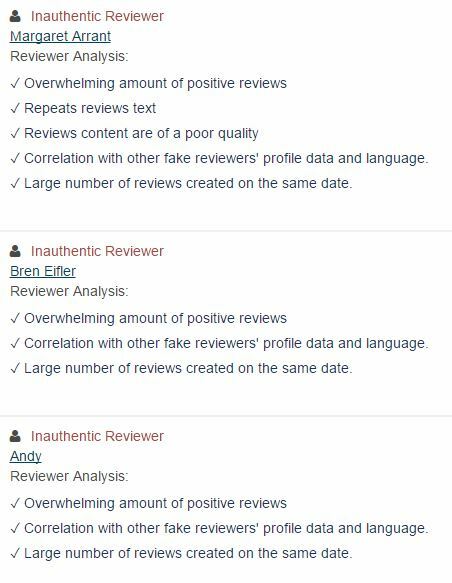 Those reviews, at least, seem to be fake – perhaps the company paid for a few reviews to get them started. We don’t approve of that, of course, but at least in this case the product is decent. In other cases, products with fake reviews are terrible and buying them is a waste of money. Absolutely no problems there. And why would a major brand use fake reviews to get ahead?